The staff team, Stephen, Bryan, Margaret, Antonio, Andrejs, Robert and Nick, and our Churchwardens, Neville and Louise, wish you and your families a joyous Christmas and a prosperous New Year. They especially wish to thank all those who have given so generously of their time and resources over the past year. Our thanks to our Director of Music, Robert Greenhill, our organist Nick Miller, our choral scholars, guest singers and volunteers, along with all of our musicians for providing us with such wonderful and inspiring music throughout Advent and Christmas. Once again the music here at St John’s has reached new heights and everybody’s hard work in both planning and rehearsing is very much appreciated. We wish them all a well earned rest. The choir and music staff are on a well deserved break on 31st December. We use our Folk Tunes setting on that Sunday with a guest soloist and organist. Thank you to all those who have donated towards the cost of decorating the church for Christmas. Our thanks go also to Laura Thompson, our florist, who has done a splendid job with her floral arrangements. There will be no midweek services until Monday, 8th January 2018. There will only be a 10am service on 31st December. The office will be closed for Christmas and will reopen as normal on Thursday, 4th January. A member of the clergy team will be in residence in case of pastoral need. Messages can be left on the office answering machine as they will be collected regularly. The arrival of the Magi, after their long journey following a star seeking Jesus, is one of the oldest festivals of the Christian Church. In the Eastern and Russian Orthodox Churches, this is the equivalent of Christmas. 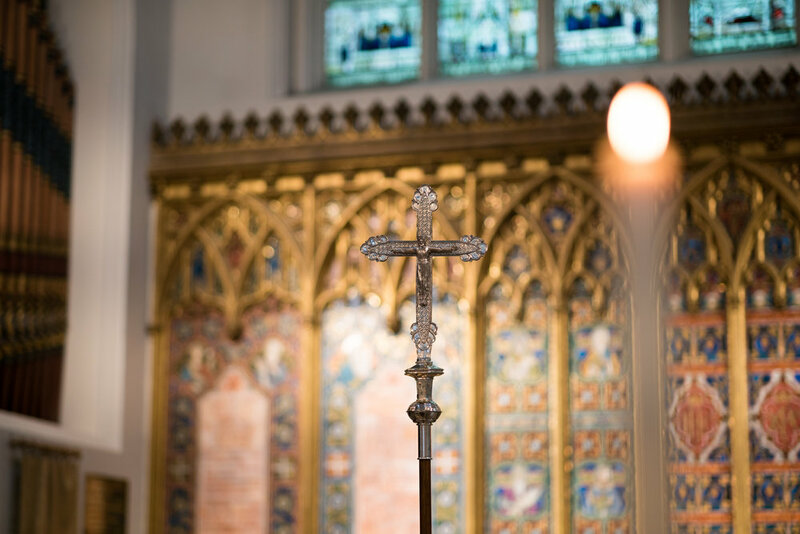 St John’s will celebrate Epiphany with a festival Eucharist on Sunday, 7th January 2018. There will be a procession of the Magi and Presentation of Gifts before the crib as part of the service. Afterwards, there will be a reception of fizz and finger food. Members of the congregation are asked to bring a plate of finger food with them and, in order to help with numbers, please sign up on the form, indicating that they will be able to attend and what food they will be bringing with them. After our fantastic Advent and Christmas carol services, what next? Epiphany carols! Robert, Nicky and the choir have prepared another special treat to conclude our seasonal celebrations marking the events of the Epiphany season. The service features music by Humperdinck, Wagner, Bach, Willan, Leigh, Stanford and Morricone and will be followed by fizz and seasonal delicacies. A great way to beat the post-Christmas blues! Following the rapturous reception of The Passion of Joan of Arc and Nosferatu, the next film to be shown will be The Hunchback of Notre Dame, starring Lon Chaney, on Sunday evening, 21st January 2018, 6.30pm. Tickets are £7 in advance, £10 on the door. Culture Vultures Venture to the Panto! !